Step 1: Where to Start? The first stage toward letting your property is to meet with Anthony Charters, our Lettings Director who has over 20 years’ experience of letting property, properly. 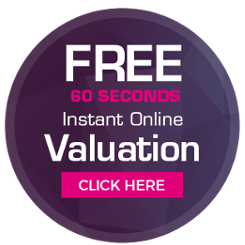 Anthony will take account of the location, size and condition of your property and assess current demand. He will then advise a recommended monthly rent and suggest any action you should take to maximise the rental income and tenant appeal. Step 2: Furnished or Unfurnished? Interior Décor - First impressions count if you are to achieve a better rent and more reliable tenant. Neutral wall colours such as cream or magnolia emulsion are ideal as it is cheaper, quicker and easier to redecorate when necessary. Carpets and curtains should ideally also be neutral and be able to stand up to everyday wear and tear. A significant proportion of applicants are unsuitable either because of their financial circumstances, age, or simply poor references. The success or failure of any letting agent rests with their ability to make the correct judgement when recommending a tenant to a landlord. Referencing - Our stringent reference procedures give us an understanding of the personal and financial circumstances of all prospective tenants helping to prevent rent arrears. Nevertheless tenants can fall on hard times, perhaps through redundancy for example, and may have difficulty in meeting their rent obligation. When the chips are down our tenant counselling service has proved extremely successful helping tenants prioritise their expenditure or help them seek housing benefit paid directly to us. This has minimised our rent arrears to just 0.5% of our managed portfolio. Should the worst happen, and the tenant falls into arrears for two months or more, our rent guarantee scheme kicks in, ensuring our Landlords receive continuity of rent for the full term of the tenancy. Deposits - Prior to taking occupancy your tenant will lodge a deposit with us equal to six weeks rent which will be returned to the tenant at the end of the tenancy following a final inspection. We will register the tenancy with the government-backed Tenancy Deposit Scheme who will arbitrate should the tenant dispute our decision to withhold all or part of the deposit at the end of the tenancy. Inspections - We will carry out regular inspections throughout the management of your property and will provide you with a brief report on the condition of the property, identifying any area of concern and obtaining quotations for any work that may be required. Landlords and tenants often make decisions based on cost, but it is also important you have implicit trust in the agent who could be handling thousands of pounds of your money over time. Lovett Residential are regulated by the Association of Residential Letting Agents (ARLA) and are members of SAFE Agent (Safe Agent Fully Endorsed) who insists every member operates a valid Client Money Protection Scheme. We hold all client money in a designated ring-fenced bank account which is regularly audited by an independent chartered accountant. In the majority of cases your tenants will pay their rent to us monthly by standing order. After deducting our management fee we will pay your rent direct to your bank account by BACS and email you a monthly statement at the same time. Because our payment runs are twice weekly you will always receive your rent within three working days from when we receive the rent from your tenant. We are a family firm whose directors have been involved in local property for almost 40 years. We like to think that we have earned the respect and trust of our clients who continue to recommend us to their friends. It goes without saying that a director will always be available to speak to you should you have a problem with any aspect of our service. "I've used Lovett for 12 years to let several different properties and have always found them to be exceptionally good at the letting business. Excellent customer service from Anthony and team."